Get up to 7 free auto shipping quotes from the largest, most trusted Florida auto transport companies and save up to 50% on your car shipping rates at CarMoves.com. Car shipping companies in Florida compete for your business, which is how you can save hundreds, if not thousands of dollars on car transport services by shopping with us. Whether you're shipping a car to Florida, across the country, or even overseas, we can help you get the best price on your shipment - guaranteed! Read more about the following auto transport companies in Florida before getting a quote. Click on the name of the company to read a full review. Above the Rest Auto Transport Above the Rest Auto Transport works with only the most reputable shippers. Rather than quote prices too low to get a vehicle shipped, the company distributes realistic quotes for the services of reputable transporters. Above the Rest also prides itself on educating its customers. All State Carriers All State Carriers is a Boca Raton, Florida-based company. They have convenient online order tracking on their website, and have additional shipping options that include shipping for non-operational vehicles. Finally, All State Carriers guarantees you that they will find a transporter in seven days. American Auto Transporters American Auto Transporters is a Canton, Massachusetts-based auto transporter. This company has been in business since 1980, and gained the respect of the auto transport industry. They offer international car shipping, open and enclosed shipping options, and motorcycle transport services. Autobahn USA, Inc. Based out of Illinois, Autobahn USA, Inc. (formerly known as Autobahn Transportation) has been providing auto transport services since 1999. Autobahn's white glove service takes additional steps to ensure the pristine condition of all vehicles shipping through their service. Auto Shipping TLC Tender loving care is the motto of Auto Shipping TLC. The company advertises that it has fast shipping capable of sending cars off in a matter of days. Pick up and deliveries of all vehicles are guaranteed at premium rates. Auto Shipping TLC specializes in shipping vehicles for snowbirds and military members. Auto Transport 123 Despite Auto Transport 123's late start in the auto shipping industry, this 2010-founded company has already garnered acclaim, such as being the year's "best reviewed auto transport company." Additionally, Auto Transport 123 includes a generous $1,000,000 insurance policy on enclosed shipping. Auto Transporters Online Auto Transporters Online stands behind its customer service, promising customers that they will be 100% satisfied with their auto transport experience. The company allows customers to cancel their orders any time before a transporter has been dispatched to their location. Auto Transport Logistics Auto Transport Logistics provides auto shipping services to a wide variety of customers. One venue that they service is cars purchased online, specifically from auction sites like eBay. Auto Transport Logistics offers shipping insurance, through their carriers, of up to $1 million dollars. Car Transport Express Car Transport Express is an auto transport broker that only works with hand-picked auto transporters. The company deals specifically with auto and motorcycle shippers. Car Transport Express has competitive prices that ensure customers get a fair quote, which is, perhaps, why they have shipped thousands of cars. Creative Rides Auto Transport Creative Rides Auto Transport's philosophy is that the auto shipping process should be simple. To aid that philosophy, the company's customer support team is open 7 days a week, and provides periodic status reports during shipment. Creative Rides offers both door-to-door transport and terminal-to-terminal shipping. Door to Door Transport With 25 years of experience, Door to Door Transport is one of the most experienced auto shippers in the industry. The company is willing to match and, sometimes, even beat competitors' prices. Unlike many other transporters, Door to Door Transport claims to have 24/7 customer support available. Jayhawk Auto Transport Jayhawk Auto Transport has one of the cleanest reputations in the auto transport industry, with an A+ rating from the BBB. Their services are designed to be easy for customers, as they provide door-to-door transport for their convenience. However, smaller trucks may make use of local terminals. National Car Transport National Car Transport offers a seldom advertised option: rush shipping for qualifying orders. This BBB-accredited company has 12 years of experience in the auto transport industry. Finally, National Car Transport has experts comfortable working with eBay Motors to ship cars from state-to-state. Nitro Auto Transport Nitro Auto Transport is a Fort Lauderdale, Florida-based auto transport company. To best serve their customers, they have a support staff available to answer any and all questions 24/7. Besides interstate transport, they also offer international car shipping to Canada and other countries. Rite Way Auto Transport Rite Way Auto Transport describes itself as "dedicated" auto transporters. They offer a customer satisfaction guarantee, and require all transporters to perform thorough inspections upon both pick-up and delivery. Rite Way also has dedicated shipping services for people who buy their vehicles online. Ship Your Car Now Unlike many other car shippers, Ship Your Car Now does not charge an upfront deposit. Customers have rated their service an average of five stars on AutoTransportReviews.com, making them one of the site's best reviewed companies. The company is known for picking up and delivering cars on time. United Car Transport United Car Transport is another Florida-based car transporter. They do not use terminals, but offer a wide selection of services, ranging from classic car transport to boat shipping. United Car Transport always strives to transport vehicles safely and quickly. 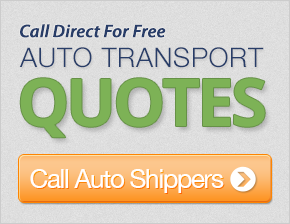 Get a free auto shipping quote today to find out how much it costs to ship a car to or from Florida! Florida auto transport companies can help you ship a car to Florida or interstate anywhere in the U.S. Thousands of people use car transport services every year, especially as they get older and the warmer climate promises a better lifestyle. But why do you need to use the services of a car transport company in Florida? Why Use Florida Car Shipping Services? When you consider that people move to Florida from all over the country, you can understand that the journey can be a long one. In most instances you will hire a professional mover to relocate your belongings, and in the same way an auto transport company can help ship your car to Florida. There are many reasons why using a Florida auto transport service is better than making the long drive to Florida yourself. First, there is the cost of fuel to consider. If you are driving long distances, it is often cheaper to use a car carrier than to pay for the fuel to move your car. In addition, with many older people moving to Florida, the drive is often too strenuous with time and distances, so using a car transport service is preferable. One benefit of using a Florida car shipping company is that you don't have to worry about getting lost en-route, as you can simply fly to Florida in comfort and pick up your car in Florida. The auto transport company will ensure that your vehicle arrives safely on their car carrier so you can start your new life in Florida, stress-free. 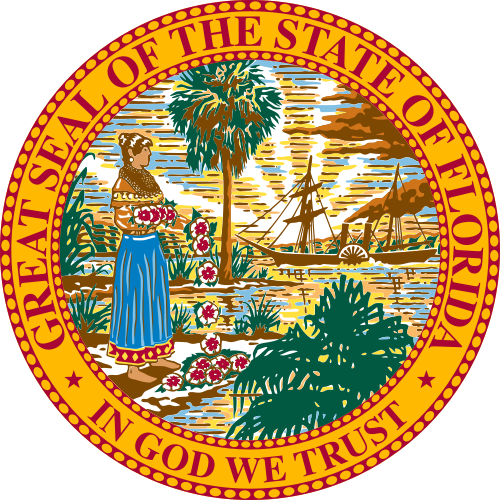 CarMoves.com works with car shipping companies throughout the state of Florida. We can help you get the best prices on car transport services to the following cities in Florida: Jacksonville, Miami, Tampa, St. Petersburg, Orlando, Hialeah, Tallahassee, Fort Lauderdale, Port St. Lucie, Pembroke Pines, Cape Coral, Hollywood, Gainesville and many more. If you don't see your city listed, don't worry - we can get your vehicle shipped anywhere in Florida. Scroll to the quote section on this page to compare free auto shipping quotes from up to 7 Florida auto transport companies and save up to 50% on your move! View the Florida Department of Transportation website for more information.